As Hyacinth Bucket ("bouquet") would say, "Get it before the neighbors do!" Patricia Routledge (Hetty Wainthropp Investigates) stars as the snobbish Hyacinth, whose desperate quest for upward mobility is constantly thwarted by her lowbrow relatives. The classic British 1990s sitcom is newly remastered with more laughs than ever before. 22 episodes, 23 hrs, 10 DVDs. 5. 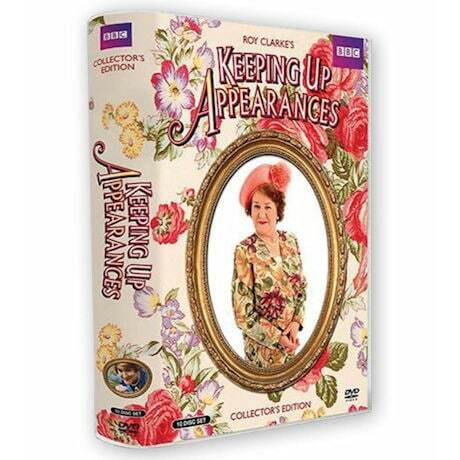 The Memoirs of Hyacinth Bucket"
• Retrospective pieces: "Comedy Connections" and "Funny Women: Patricia Routledge"